The cartridge can be pre-calibrated, under both low and high pressure conditions, then exchanged on-site. The cartridge is supported in O-rings and isolated from the body, hence unaffected by any influences of the housing. The short length cartridge enables the use of larger sized cartridges than the size of the meter body. The approved maximum capacities of these kind of meters are extremely high and similar to the capacities of ultrasonic meters. 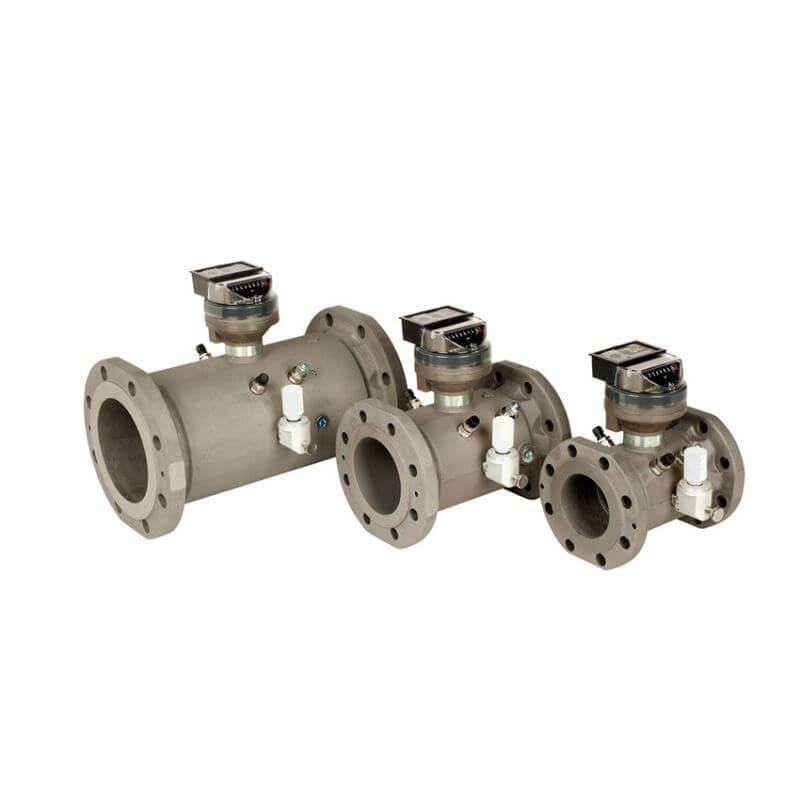 To reduce transportation cost, optimize the corrosion protection and improve safety in handling, the FMT-Lx series of turbine meters up to 6’’ (DN150) are also available with low weight aluminum meter bodies.